EI-BDX was designed by Roger Druine and built by Rollason Aircraft and Engines Ltd in Croydon, Surrey in 1964 as the prototype D.62B model and allocated serial number: RAE/608, originally registered as G-ASRB with CofA issued on 28/01/1965. 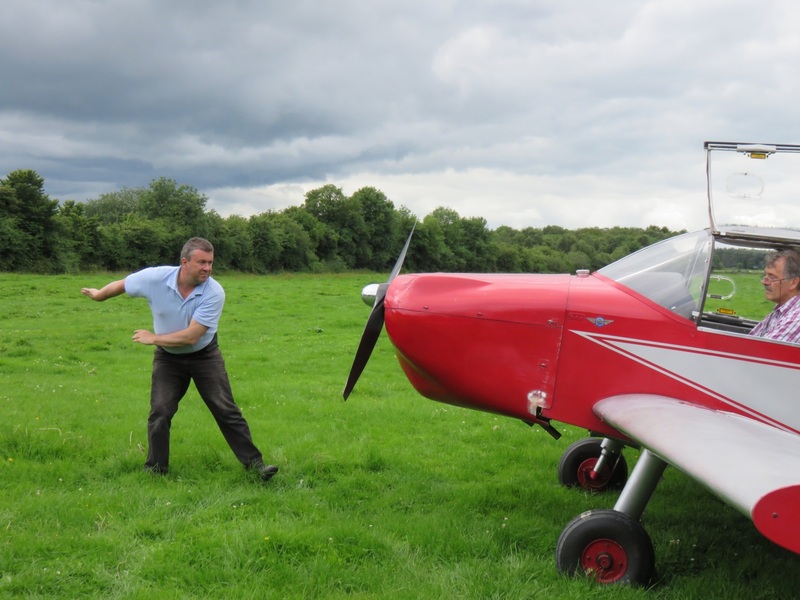 BDX was the much-loved aircraft of the late Brian Douglas and, after his untimely death, was gifted by his family to John Finnan who was a close friend of Brian over the years. John, in turn proposed that the aircraft be made available to ILAS for training & educational purposes in the form of an ownership trust in Brian’s memory. This wonderful gesture was particularly fitting given Brian’s lifelong interest in light aircraft and his active encouragement of others to experience aviation. The aircraft is now available to all ILAS members who join the BDX group. A membership application form and operational rules for the group are available via the links below. In keeping with our affordable flying objectives, the cost of flying BDX has been set at a rate of €115 per tacho hour and 'block to block' times can be recorded for log book purposes.